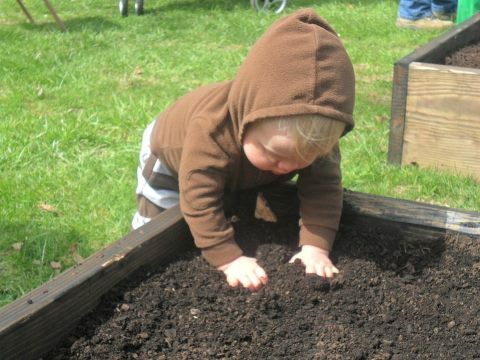 Tippe just.good.food Gardens: Come Grow With Us! Church Semi-Intensive Vegetative Rooftop Pantry Garden! at BV Community Center) , and choose a role just right for you! Need gardeners, drivers, recipe prep..we need you! Email Erin at justgoodfoodgardentippe@gmail.com. Can't wait! In conjunction with our Divine Intervention Ministry to the Homeless, our gardens now offer a work force development opportunity to Guests moving out of homelessness and into life! Garden Interns, with volunteer help and leadership from our Garden Coordinators Chris and Eloise, grow, harvest, and give away approximately 1500 lbs of organic produce each summer to those in our area who are hungry. In conjunction with our Garden Community Educator, Rachel, weekly nutrition education is offered under the guise of cooking demonstrations and taste testing offered to pantry participants at BayView Community Center (during growing season). Recipes are provided along with all the organic veggies needed to supplement their choices for healthy eating. New in 2016 are monthly casserole making nights for Pantry Recepients. Free to them, they are invited to come learn about nutrition while making a healthy, affordable casserole to take home to bake and enjoy with their families. Child care provided as they cook! And Tippe's gardens are becoming greener! This year will be have an underground cistern catching the water off the west side of our church building that will be pumped for use throughout our growing gardens! Provided adequate rainfall, this means Tippe will use no public water for its gardens! Volunteer with us! Email racheltippechurch@gmail.com. ​We wish to honor and thank our sustaining partners who support us with energy and funding: MMSD, Lake Michigan Foundation, Crossroads Foundation, Prairie Spring Foundation, Steins Garden Center, Plantland, and Custom Grown Greenhouses....and YOU! Our gardens are an integral part of our faith community. At Tippecanoe Church, we are fortunate because we have open space for such a garden. 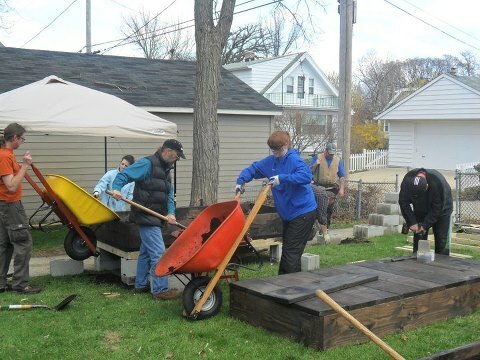 If you would like to get involved in the gardens, call our office at 414.481.4680. 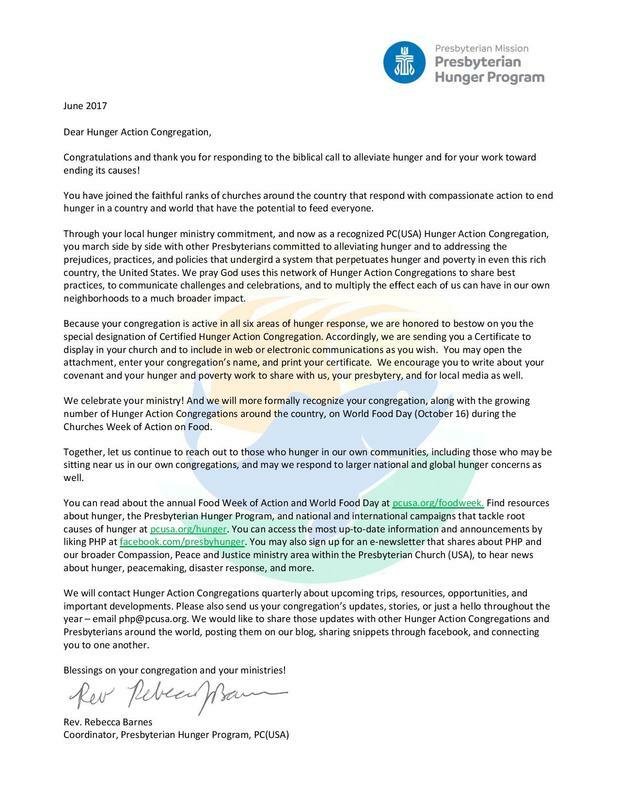 Tippecanoe Church is designated as a Food Justice Site for the Presbyterian Church (USA) Hunger Program. 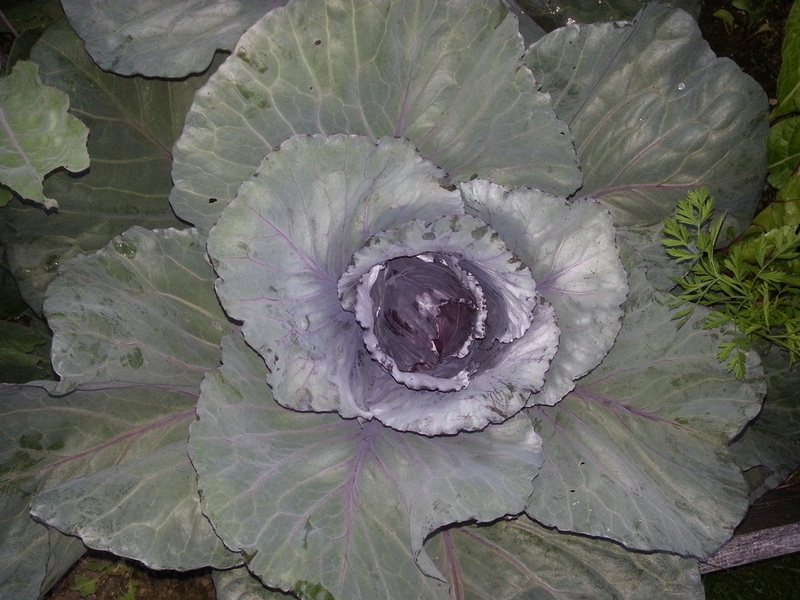 We grow fresh organic vegetables to distribute to local food organizations. By doing so, we promote healthier eating in our faith community. This year we will be expanding our mission to our neighbors and friends as well. We invite all people to share with us their overstock from their gardens. 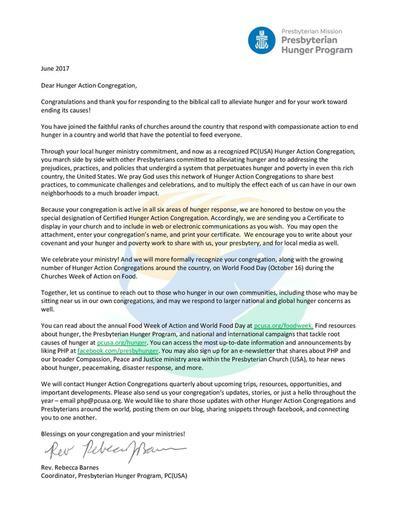 We will share our surplus with local food programs and people who are hungry. 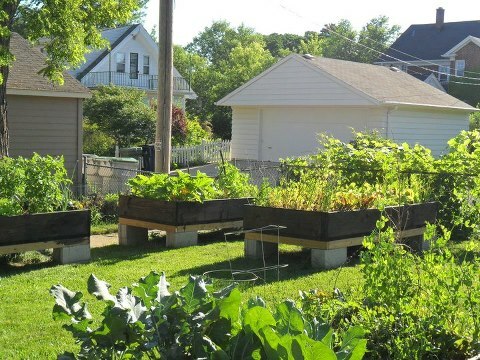 Check out the calendar for the next scheduled Garden Sharing Day. Or, email racheltippechurch@gmail.com. A garden is a perfect place to pray, meditate, and read. Throughout the year we host events of healing and worship in our garden. These events are sponsored by our Living Waters Contemplative Life Center. Check out our calendar for upcoming Healing in the Garden events. 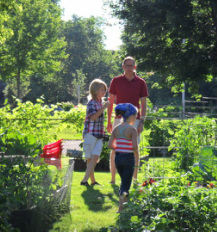 The Tippecanoe Garden has been home to The Native American Wellness Garden. They now have their own home and we continue a rich relationship! This holy addition to our ministry brings the wider community together, sharing wisdom in education and outreach. This year we will be engaging a number of our guests we have met through Divine Intervention with our community garden. Several of our guests are making progress in repairing their lives. We are hoping to support these guests by giving them meaningful work within our gardens. We compost. 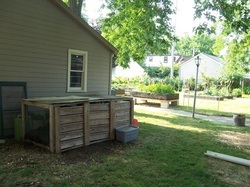 As part of our community garden, we have some compost bins. We compost all of the waste we generate in our gardens so that we can use the compost in our gardens in the following year. This year, we are composting some of the food waste that we get when serving meals for our guests in the Divine Intervention Cold Weather Ministry. We especially are using the coffee grounds and stale bread. We get several pounds of coffee grounds each week. We compost these things instead of throwing them out. ﻿And you can help too! funds for Reflo to do our water reclaimation project, 6-8 rain barrels. and YOU!!! https://www2.gotomeeting.com/register/445289554 Pecha Kucha-style, we'll hear from eight practitioners about their sustainability and food production initiatives. 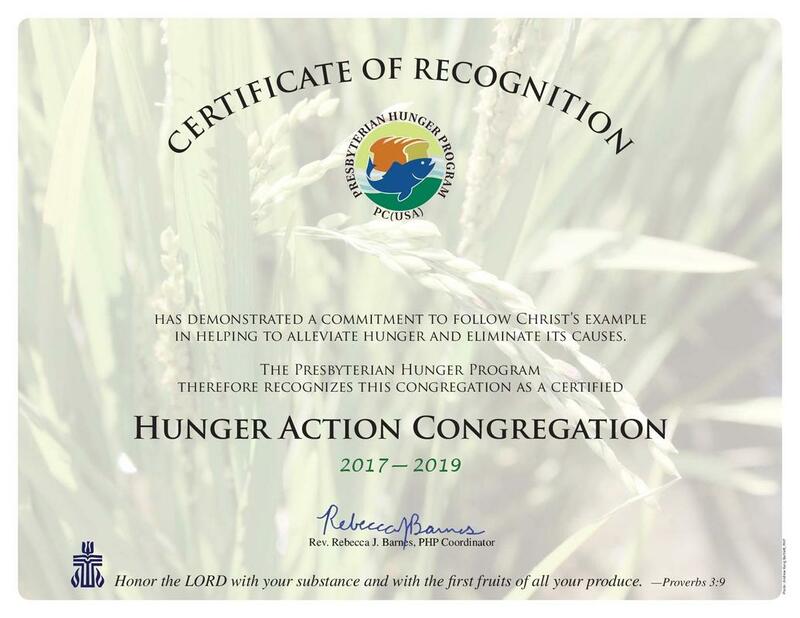 Ten presenters from around the country will highlight the food initiatives and sustainable practices they are implementing as ministries of their congregation or as camp and conference centers. Each person will describe the birth of the idea (seed), challenges and best practices along the way (growth & ramification), and the tangible and intangible results (fruit). Join us to be inspired and equipped! The Winter Farmers Market & Brunch, hosted by Tippecanoe Presbyterian Church, is sponsored by Markets & Meals for Hope, a joint project of Churches Center for Land & People, a 501 (c) (3) non-profit organization, & the Harvest of Hope Farm Crisis Fund of the Madison Christian Community, a United Church of Christ and Lutheran ministry helping family farmers since the 1980 farm crisis.